The Y & Y Plasfun provide very bold and bubbly belay assistance during climbing days out. Designed with a retro-style sturdy plastic frame, these belay glasses are smooth to the touch, non-abrasive and incredibly durable to the outside elements. 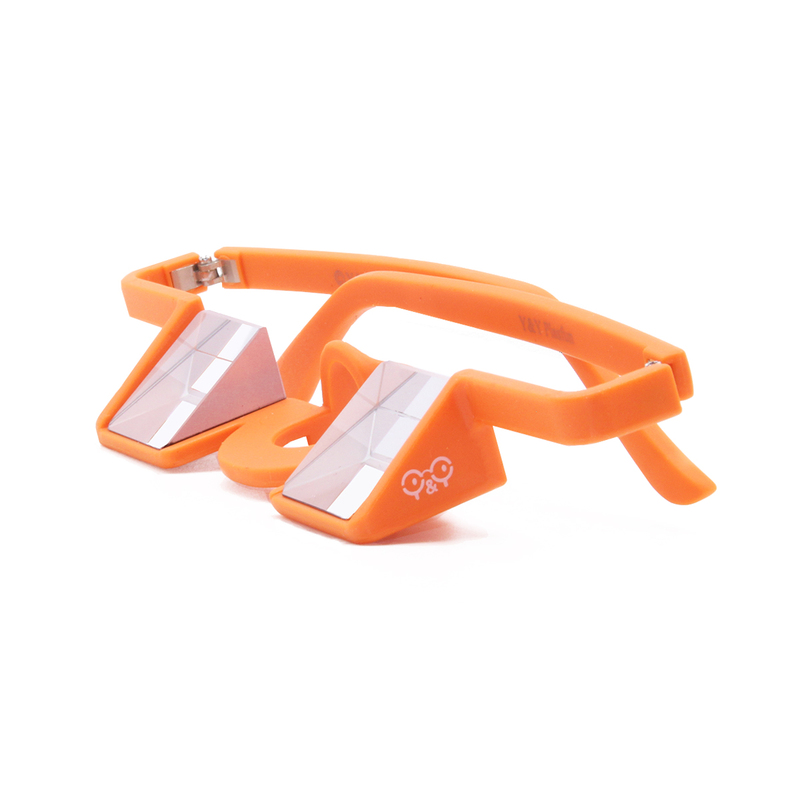 Designed with high transparency prisms, these belay glasses are made to give the fullest opportunities for maximum peripheral vision, whether worn alone, with glasses or your shades. Relief is offered to the belayer by forgoing the need to strain the neck, as well as feeling virtually undetectable on the face with a well proportioned nose fitting. Clear viewing of the belayer looking ground up - without that horrendous neck strain. Designed with specific anti-pressurising frame to be comfortable on the face. These are what you would expect. I get belayers neck and these do work well. They take a little getting used to but work well.